For me, every wedding feels like a Royal Wedding day because that’s how special each and every one of my CCP Couples are. All of their careful planning has finally come together and all of their closest friends and family travel to see them make their marriage vows. . . But how cool is it that Kristen and Dave will share their wedding anniversary with Prince Harry and Megan Markle?! . . .
Where do I even begin with Rachel and Steven's beautiful wedding day in downtown Plymouth?! The morning of their wedding got off to an amazing start with a balmy 94 degrees and Rachel's bridal portraits ended with a vintage car cameo!! We were taking photos downtown near the Wilcox House when we spotted this mint-colored vintage car on the street. The girls and I made a beeline for the car and the nicest man, who owned the car, said we were welcome to take as many photos as we'd like with the car! Best impromptu wedding surprise ever! . . . GUYS!!! I am so in love with everything about Lindsey and Jon's wedding day, but especially their emotional first look! 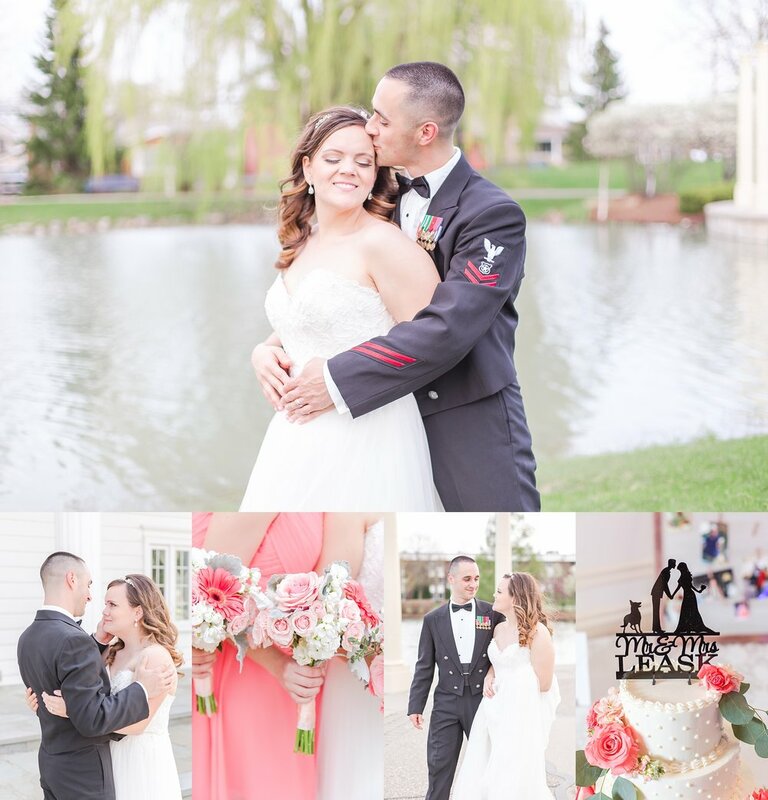 These two had the perfect spring day for their wedding in St. Clair Shores, MI and I couldn't have asked to work with a more joyful couple, family, and wedding party! . 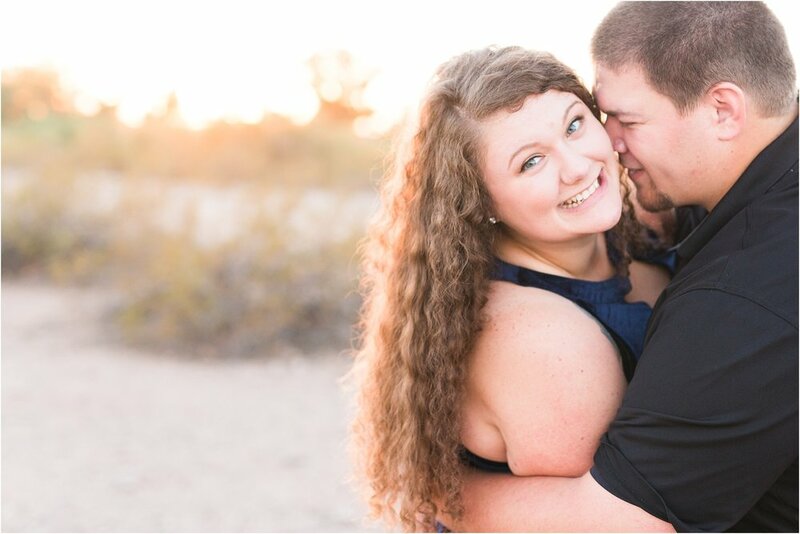 . .
During our initial meeting, I could tell Kara and Kevin were going to be so much fun to work with because they both love to laugh and they aren't afraid to be a little silly! On the morning of their wedding, Kara stepped into her vintage-inspired fit and flare wedding dress with the help of her mom and bridesmaids. Every part of Kara's dress was gorgeous and it had just a bit of glam, but I especially loved the back details and her long, elegant train! She looked absolutely stunning as she met her dad at the church's aisle, and Kevin's face lit up with so many emotions at the sight of his future wife as she walked towards him at St. Anne's Chapel in Grosse, Ile. . .
Last week I shared Part 1 - The Best of 2017: Engagements and, today, I'm featuring Part 2 - The Best of 2017: Weddings! I looked back on all the wedding photos I captured in 2017 and narrowed them down to my absolute favorites from each couple's wedding day. 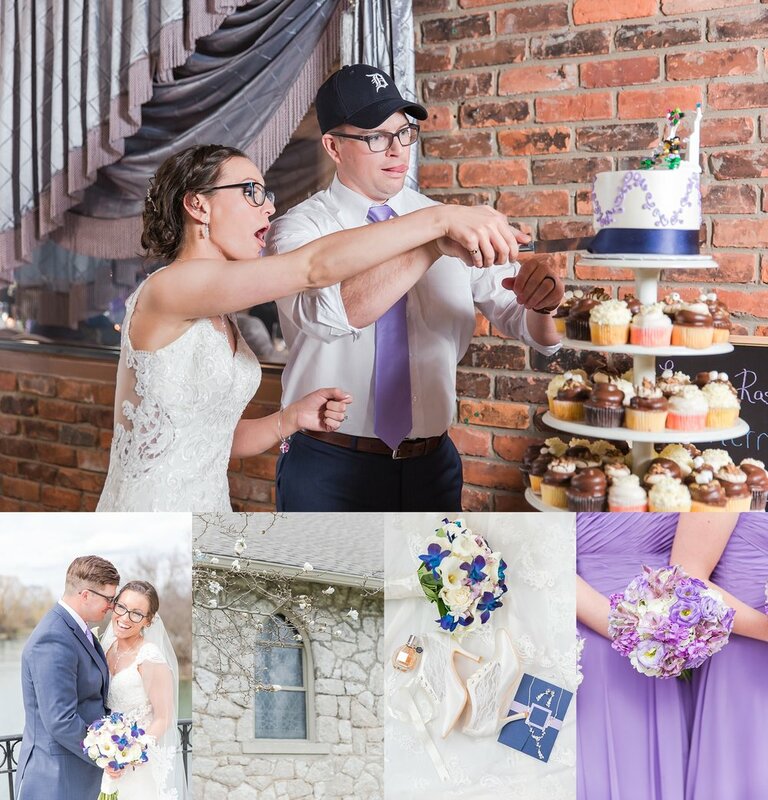 These images make me fall in love all over again with my job, and I ended up with 1,418 wedding favorites from 2017! But I narrowed that down even further, and I am only sharing the very best of the best on this post today! . . . 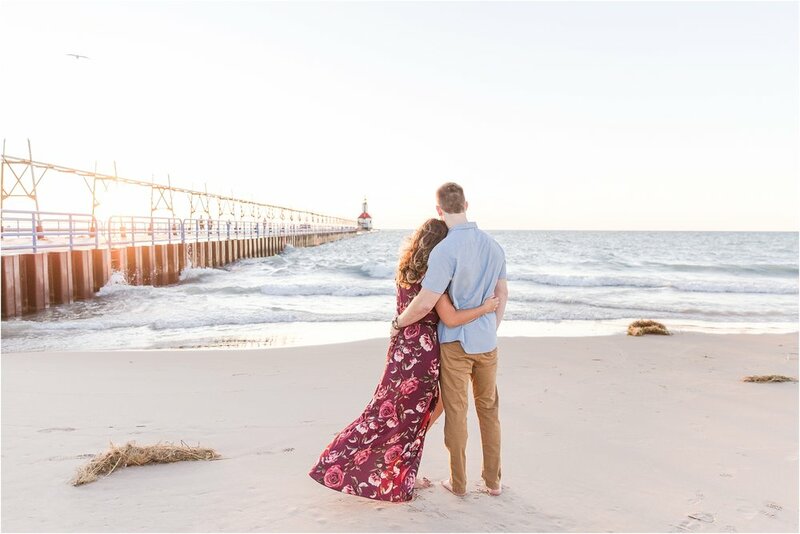 I am about to kick off my 2018 wedding season in a little over a week, and I am so so excited!! It has been roughly 4 months since my last wedding day, and I am READY to get out of my office on the weekends and be creative again! This winter I have been working hard on a ton of administrative, business, and educational goals and it has been nice to sleep in on the occasional Saturday. But I'm not all about that office life! . . .
During the past couple of months I have been working hard and digging deep in order to give my website and my brand a bit of a refresh! It’s crazy how much your mindset and style can shift, even in just one year, and how some small updates can really reflect all the personal and professional growth that’s taken place. . . This announcement is so big I thought about sending all my blog readers a chilled bottle of champagne, just so they could pop their corks with me as I finally reveal who our wedding photographer is going to be and our favorite engagement photos!!! As a very young girl, I found something so beautiful about ballerinas and I couldn't help but want to follow in their pointe shoe footsteps! I think my love of ballerinas all started when my mother read the book, "Ballet Shoes" by Noel Streatfeild to my sister and I, and it was enhanced every Christmas when my grandmother would take us to the Fox Theater to see The Nutcracker. 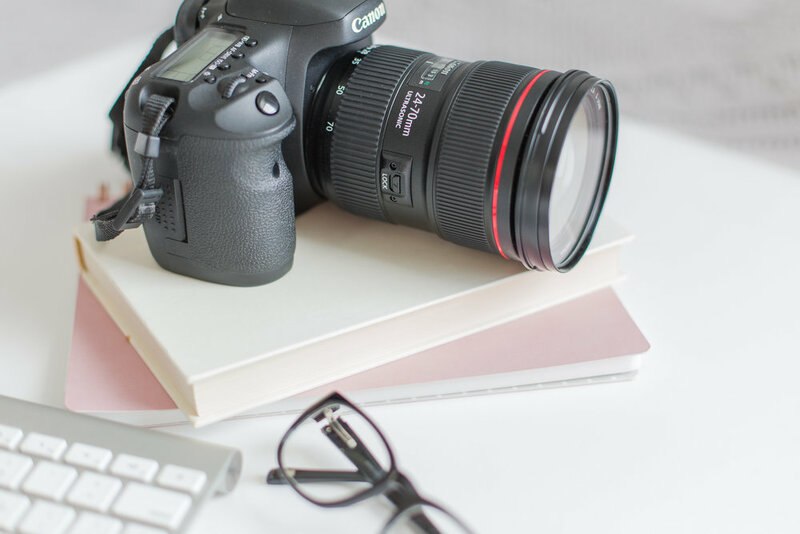 Unfortunately, I never got past the admiration stage because I quickly realized that I didn't quite have the natural grace required for the ballet and that I'd rather just sing along with Elton John's Tiny Dancer! . 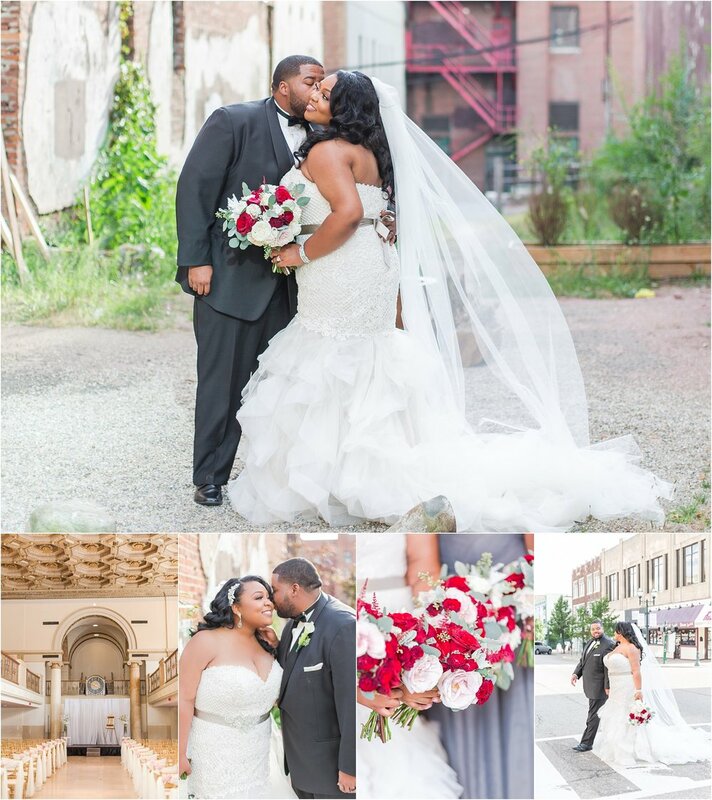 . .
Brittni and Jason's urban downtown wedding was full of glamour and romance! I loved the bride's wedding day look and her fit and flare gown was so beautiful. The romantic lace detail that covered the bodice paired nicely with flirty ruffled train and the crystal hair piece added a glamorous finishing touch to her floor length veil. Brittni and Jason shared an emotional first look before their ceremony, which took place in the grand foyer of the 1920s historic building, 30 North Saginaw. . .